They’re here–they’re ready! Cholla buds’ grand opening! I just love spring time! Tia Marta here with important news—something I was planning to share with you next month but wow here it is—our staghorn cholla cacti flowered yesterday. 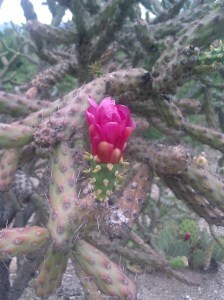 That is a herald-horn in the desert for sure—it is cholla bud harvesting time again!